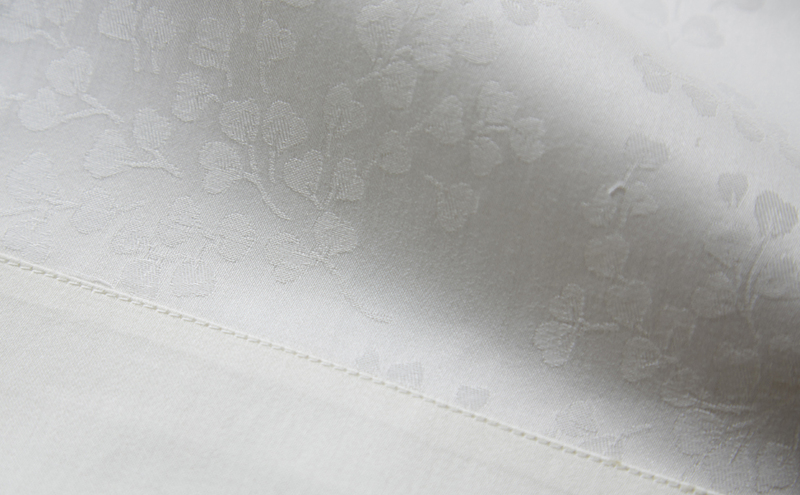 Classical floral Jacquard weave with plain borders. Luxuriously soft to the touch. 100% cotton satin, 300 thread count.